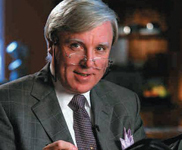 Francis Brennan, well known hotelier, author and star of "At Your Service" TV programme on RTÉ will speak at this year’s BPW Galway Summer Lunch. Plans are well advanced for the popular event, which will take place at The Ardilaun Hotel, Taylor's Hill, Galway City on Friday, 15th May. The day will start with a Prosecco reception at 12 noon, followed by a 4-course sumptuous lunch with wine. A Raffle in aid of Childline Galway promises some fabulous prizes. Then, while away the afternoon to the Music of The Marley Road Band from 4pm into early evening.